Oh come on, it's checkers, people! I'm trying to make it interesting! If that's not cutting it for you, maybe the age old debate over which is superior, pirates or ninjas, will spice up the game a little more for you. It even comes with a set of larger ninjas and pirates for when someone gets "kinged." 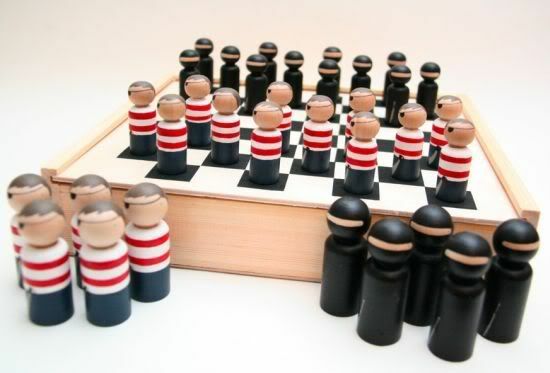 I'm not heavily into draughts (as we call it over here) but ninjas! and pirates! What's not to love? Funny!! I have a friend who loves pirates and another who loves Ninja's! Perfect!